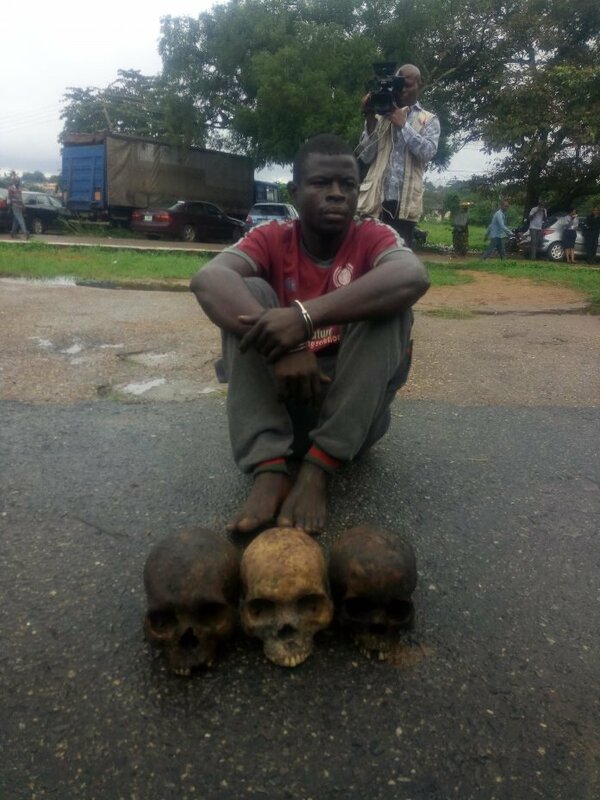 A 27 years old man, Sodiq Rasheed who was arrested by the men of the Oyo State police command on Monday for allegedly being in possession of three human skulls in Ibadan, the state capital has confessed that he was lured into the business by a man. Rasheed, according to the state Commissioner of Police, Mr. Abiodun Odude, was arrested around Omi Adio. Odude while parading the suspect said he was caught during a raid by the police.